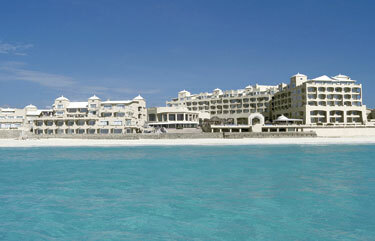 PLAYA HOTELS & RESORTS - Exceeding Your Expectations! - Playa Hotels & Resorts (formerly Real Resorts) offers something for everyone! The GRAN properties provide quality resorts thoughtful details of far more expensive hotels. Hyatt Zilara & THE ROYAL IN PLAYA are luxury adult only resorts offer superb service, romance and fun, all in one great ocean front resort. PLAYA HOTELS offers classic Mexican warmth with contemporary style allowing you to experience the welcoming feeling and the outstanding hospitality they are know for. 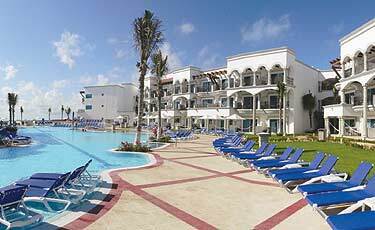 Nestled in the heart of Cancun's shopping, dinning and entertainment districts, Gran Caribe Real has a fun filled, energetic vibe perfect for excitement, adventure and romance. Gran Caribe Real is where families, couples and signles all mingle effortlessly, enjoying the perfect vacation experience. Exceptional in facilities and amenities, Hyatt Zilara Cancun has created an intimate atmosphere to combine impeccable service with traditional Mexican warmth and hospitality. Hyatt is perfect for couples, friends, weddings and groups. 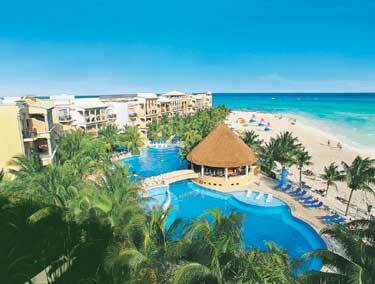 The resort is centrally located and offers direct ocean front views. Come and see how they will exceed your expectations..
Reminiscent of a storied Mexican hacienda, this picturesque beachfront resort offers an enchanting blend of relaxation and fun. Ideally located in the heart of Playa del Carmen, it provides an exciting kid's club, tennis courts, daily activities, nightly entertainment, a wide selection of restaurants and bars and complete pampering at the full-service spa. Combining luxurious accommodations with warm, personalized service, this upscale resort offers a welcome oasis of calm. Designed for relaxation, polished guestrooms feature a Jacuzzi and a private terrace, while the full-service European spa provides a serene environment that perfectly compliments a day of relaxation and fun. Call one of our Expert Vacation Specialist Today!